Welcome to the spring issue of Vita Nuova. The quote above was presented in September by the delegation from Rome of the Societa’ Dante Alighieri during the Dante Alighieri Congress in Mildura. Our first language and related culture define us, have an impact on our lives and often may shape our future. Those who are fortunate or unfortunate to travel the world, live in new and diverse places, learn other languages and explore new cultures can sometimes lose their sense of identity and belonging and can feel torn between languages and cultures. Maintaining a strong bond with our native language can help bring us back home without travelling. Language is our home and using our language makes us feel at home. Our association continues to proudly promote our beautiful Italian language and culture to ensure that Italians and Italian of today and tomorrow will always feel at home. Much has happened during the winter months, starting with the film screening of two Italian comedies from the Lavazza Film Festival at the Palace Nova. In August we collaborated with the South Australian Association of Teachers of Italian to offer a special preview of the new entertaining Italian movie “Come un Gatto in Tangenziale”. In September, we organised a ‘Movie & Aperitivo Night’ with the light-hearted comedy “Metti la nonna in freezer”. 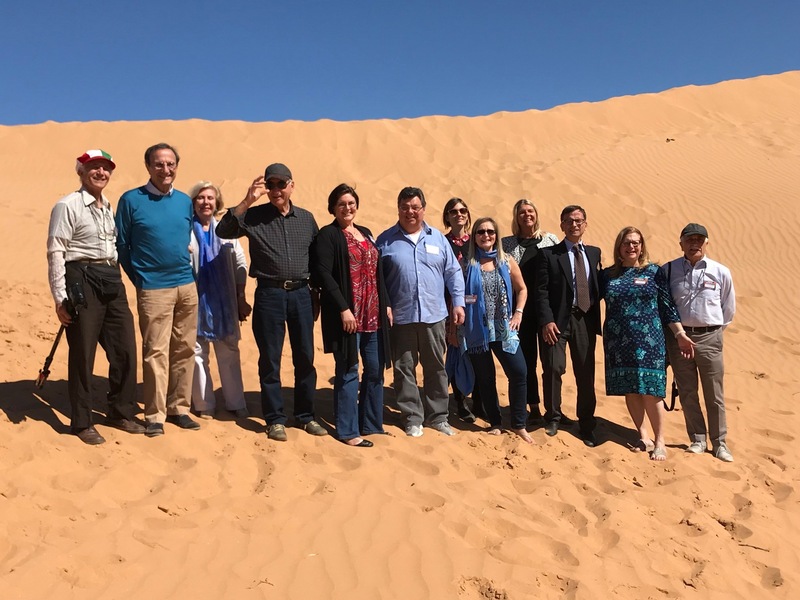 As you will read, on 28th – 30th September our Vice President, Natasha Marona, and myself participated in the biennial Dante Alighieri Congress ‘Dante nel Deserto’ hosted by the Dante Alighieri society of Mildura. During the congress we had the opportunity to present and share our program and activities. 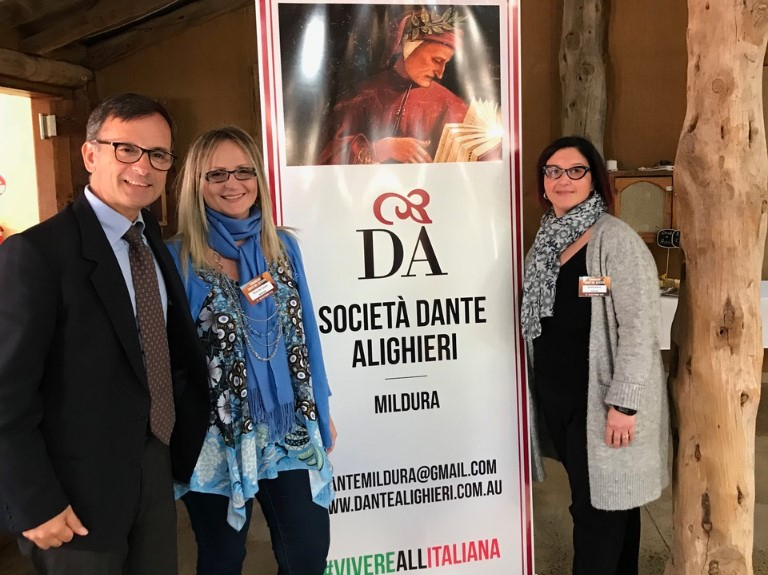 I would like to take this opportunity to thank the president of Dante Alighieri Society of Mildura, Lina Kadziela, and her committee for the wonderful experience and organization. At the beginning of October, together with Filef and Flinders University, we organised the book launch of “La mia Liguria 1930-1958” by Umberto Lavazzari. 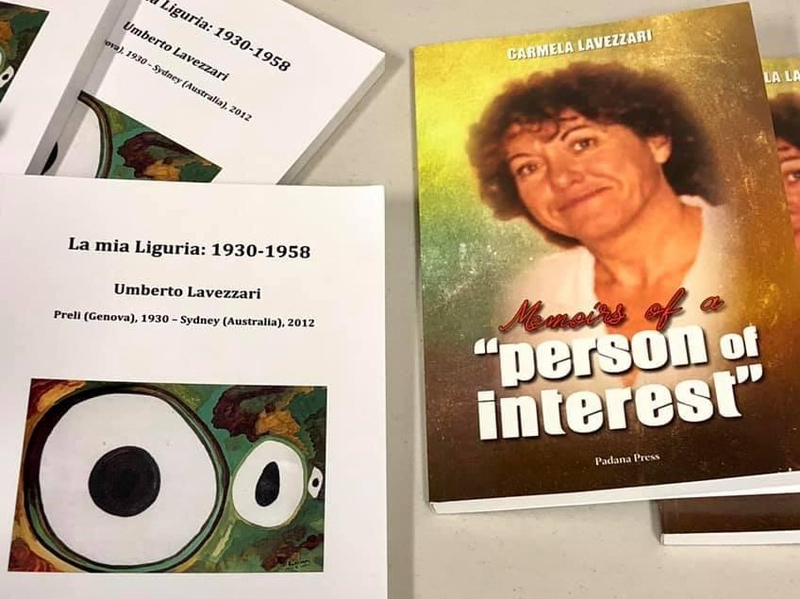 A lovely night started with the introduction of the book by MP Tony Zappia and culminated with an entertaining Q&A session with Carmela Lavezzari, wife of the late Umberto Lavazzari. The second semester of PLIDA Language Proficiency Courses started in August running four classes: beginners (A1), continuers (A2), intermediate (B1) and upper intermediate speakers of the language (B2). The second semester of “Caffe Italiano” conversation classes also started in August running on alternate Tuesdays. Thanks to a project in collaboration with Com.It.Es, in Mid-July we also started an Italian language and culture course for health carers within Italian-background aged-care facilities. The program has started with Bene Aged Care and we are planning to extend it to other aged-care facilities. The Italian language assistants’ program for schools in South Australia started in May and will end in Term 4. The program continues to see the successful cooperation with the SA Department of Education and Child Development and the Catholic Schools Office and the support of both the Italian Consulate and the Director of the Educational and Cultural Office in Canberra, Anna Rita Tamponi. 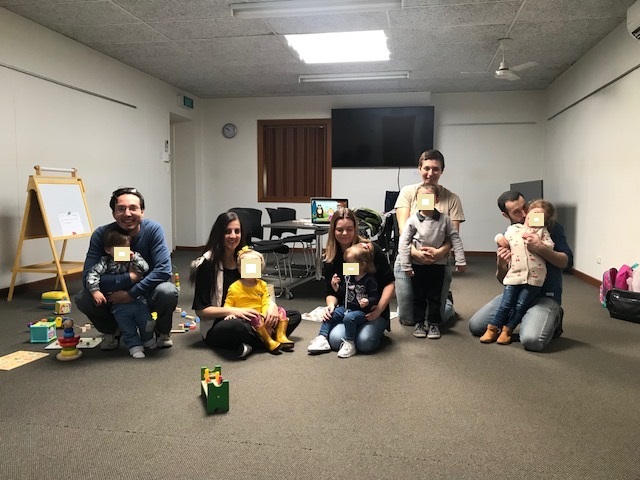 Our Italian playgroup children’s language course (0-5 years’ old) continues to run successfully throughout Term 4’ The program receives consistent positive feedback and response from the community wanting to involve young children in the learning of an additional language through fun activities and games. The new Italian language course for children of 6-13yrs started in Term 3, ending in September with positive feedback from all involved. 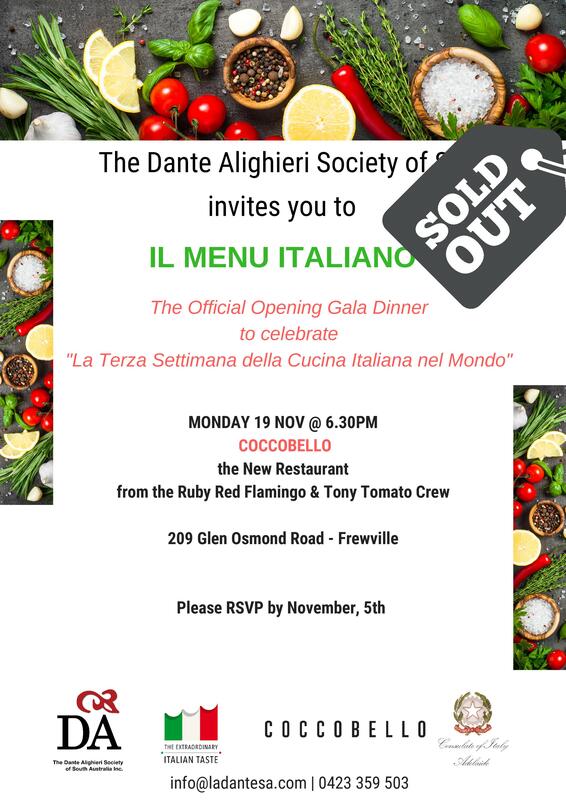 “Terza Settimana della Cucina Italiana nel Mondo” – We continue to support the Italian Consulate’s program with a special opening night dinner on 19th November at ‘Coccobello’, the new restaurant from the Ruby Red Flamingo and Tony Tomato crew. Come along to taste a classic – ‘Il Menu’ Italiano’. 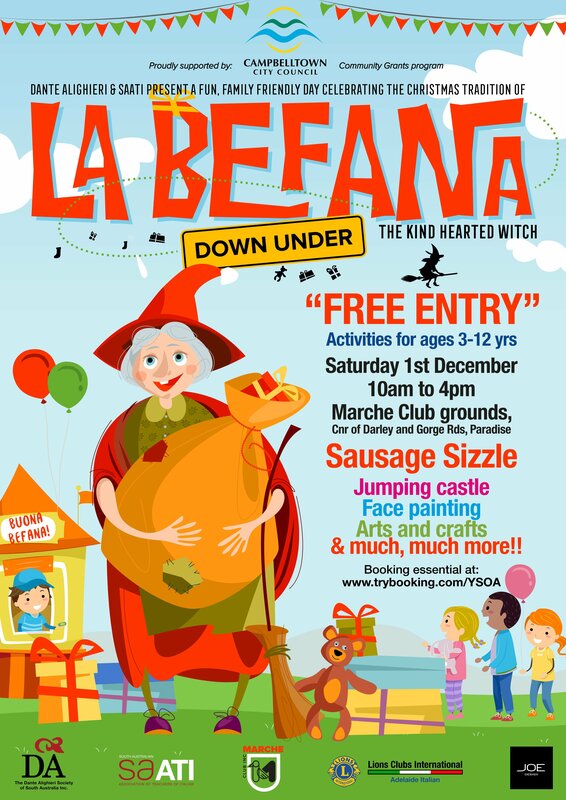 Saturday 1st December, “Befana Down Under” in the Marche Club grounds from 9am to 4pm. Come along for a day of free entertainment for children aged 3-10 with the arrival of ‘la BEFANA’. During the event children will learn about the history and tradition of ‘Befana’ in Italy, will receive the traditional ‘calza’ (stocking) and will enjoy a day of fun and varied activities. The event will be opened by a bilingual theatrical performance from the students of Morialta High School. As always, I would like to conclude thanking all committee members (and their families) for their continuous hard work. Our volunteers make the association successful and ensure that the Italian language and culture stay alive in South Australia. 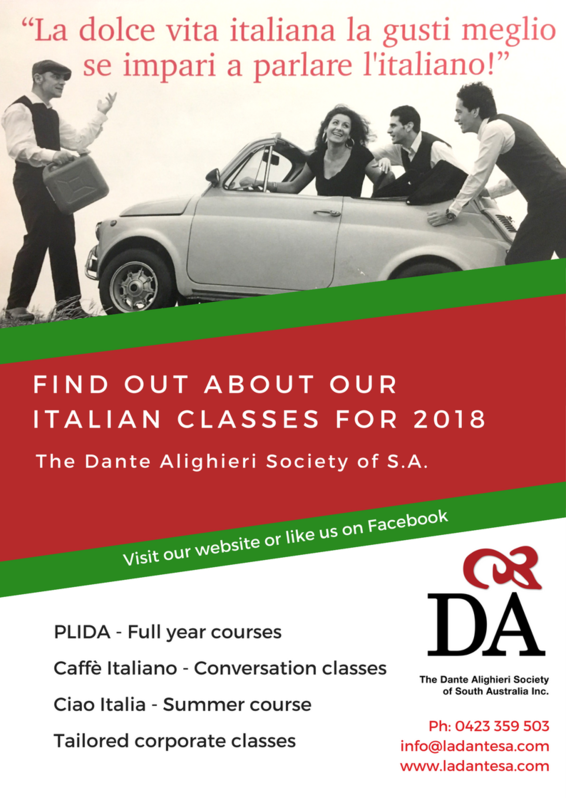 We look forward to new members joining and invite you to come to our events, to read our news and to continue to follow and like our page Dante Alighieri Society of SA Inc. on Facebook. 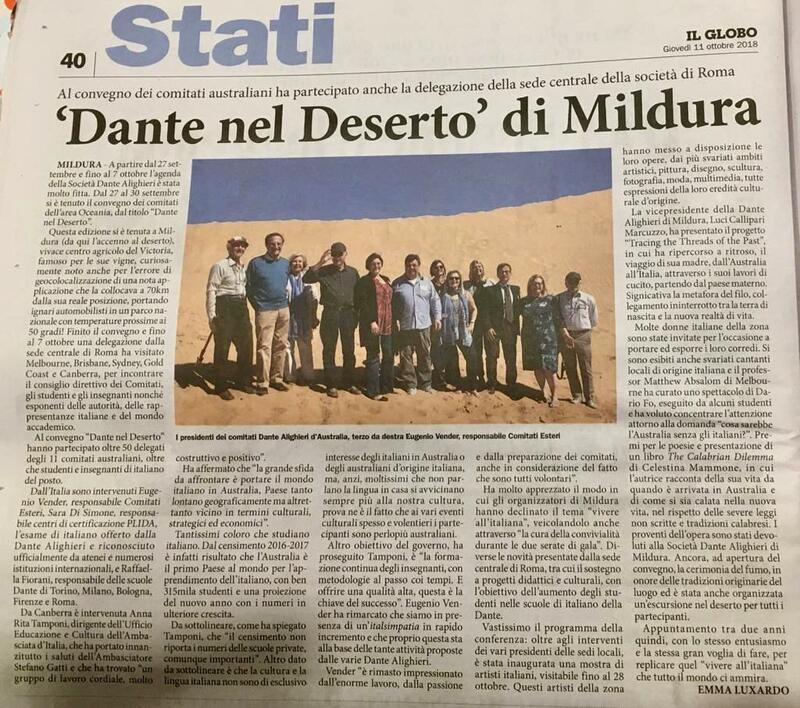 At the end of September our President, Silvia De Cesare, and our Vice President, Natasha Marona, participated in the biennial Dante Alighieri Congress ‘Dante nel Deserto’ which this year was hosted by the Dante Alighieri Society of Mildura, Vic. Among many thought-provoking ideas, the main message participants were left with is “Language is mankind’s home” – “La Lingua e’ la casa dell’uomo”. The Congress started on Saturday 29 Sept with Welcome to Country and Smoking Ceremony, the welcome by the President of the Dante Alighieri society of Mildura, Lina Kadzieda, followed by the Mayor of Mildura, Cr Mark Eckel. Anna Rita Tamponi, from the Italian Embassy, highlighted the significant challenge involved in bringing our history and culture to Australia. With support from the Italian government, the objectives are to build a network to promote and develop the Italian language in Australia. All associations need to work together to improve the quality of the teaching of Italian. In the 2016 census, Australia was the top country in the world in learning Italian with about 315,000 students. Furthermore, there are three bilingual schools in Australia, currently only at primary school level, but the aim is to increase the number and to extend the project to secondary level through the increase of immersion courses in which subjects are taught in Italian. Most students participating in bilingual and immersion programs are not from Italian background but simply have an interest in the Italian language and culture. A very ambitious objective would be to have 1 or 2 schools which follow the complete Italian curriculum and, at university level, to promote and increase certifications of Italian language. After extending his greetings, the Consul General of Italy of Victoria, Dott. Pierluigi Trombetta, went on to highlight the presence of about a hundred Italian companies investing in Australia, such as Eni, Iveco, Ferrero and many more. Subsequently, all the Dante Alighieri Committees in Australia presented their programs. 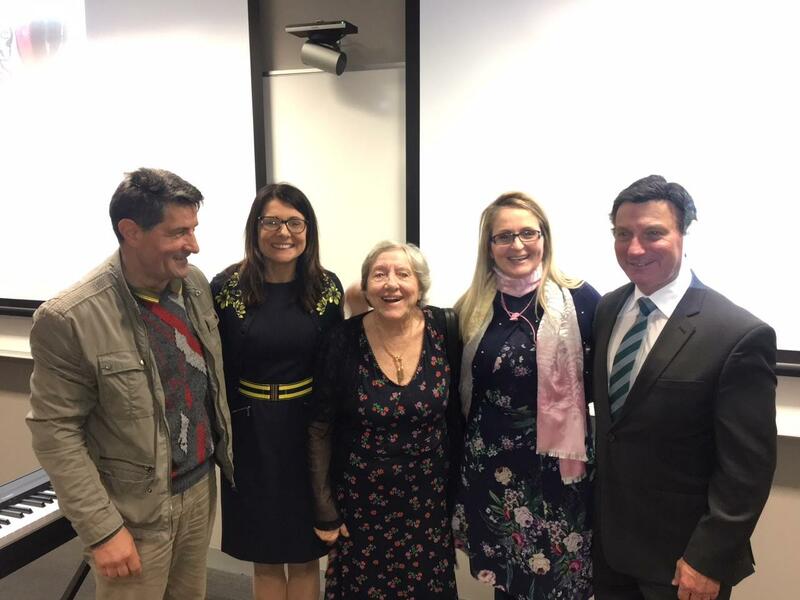 The Dante Alighieri Society of SA presented its 2018 activities and its unique ‘assistenti program’ being the Ente Gestore – the Managing Institution – of Italian Government funds provided by the Ministry of Foreign Affairs to support the teaching of Italian Language & Culture in South Australian State and Catholic schools since 2013. Eugenio Vender, head of Dante Alighieri Societies Foreign Committees, Raffaella Fiorani, head of the Italian Schools of Turin, Milan, Bologna, Florence and Rome, and Sara Di Simone, in charge of PLIDA and ADA courses and certifications, extended their greetings and presented the news from the Sede Centrale in Rome. PLIDA Certification has 350 centri certificatori in the world, three in Australia, with Adelaide being the only active certification centre. The great challenges which have arisen are the rapid aging of the Italian population in Australia and the loss of Italian skills among newer generations. But the opportunities come from focusing on safeguarding the Italian heritage, more fully engaging with the younger generations and, of course, the continued development of online Italian courses. It’s been a busy time for Dante Kids! Term 3 saw more new families come along and take part in the Italian playgroup with really strong numbers each week. In fact, the playgroup recorded its best attendances since the playgroup was formed, which demonstrates the growing demand for Italian to be taught to young children amongst the Italian community. The playgroup facilitator, Pamela Di Rocco, covered new topics to teach the children and was able to deliver it in a fun and creative way as we’ve come to expect. The playgroup is also now being run from the larger front room at the Marchant Community Centre and with more space for the children it creates a nice learning and interactive environment. If you have young children between 0-5 years old or know others that have young children and would like to teach their children Italian, come along to the Dante Kids Italian playgroup, we’d love to see you there!